On 1 January 2015, on the stroke of midnight, 813 runners from 41 countries took part in the Neujahrsmarathon Zurich (more) in Switzerland. Just hours earlier on the 31 December 2014 the Sao Silvestre de Luanda 10km was run in the Angolan capital. On 28 December the Hong Kong Half Marathon Championships took place in the Plover Cove area, while the Tata Steel 25km (more) is run in India. On 28 December the Hong Kong Half Marathon Championships (more) took place in the Plover Cove area, while the Tata Steel 25km (more) is run in India. On 21 December the Taipei Marathon was held in the Capital of Chinese Taipei. On 12 December the Ayla Red Sea Half Marathon (more) was held in the Jordanian port of Aqaba. On 13 December the Nara Marathon (more) took place in Japan, and the Milo Marathon Manila (more) in the Philippines. On 14 December the Sfax Marathon Int'l des Oliviers (more) was run in Tunisia, the St Croix international Marathon (more) in the US Virgin Islands and the Powerade Monterrey Marathon (more) in Mexico. On 7 December the 68th Fukuoka Int'l Open Marathon Championship (more) was held in Japan, followed by the Macau Galaxy Entertainment Marathon (more), the Standard Chartered Singapore Marathon (more), the Ankor Wat Int'l Half Marathon (more) and the Vadodara Half Marathon and Pune Marathon (more) in India. In Europe the Maraton Cabberty Malaga (more) was run in Spain and the Discoveries Half Marathon (more) in Portugal. Across the Atlantic the Intertrust Cayman Islands Marathon (more) took place in the Caribbean and in Central American the 38th Panama International Marathon (more) and the San Jose Costa Rica Int'l Marathon and Half (more). On 28 November the Eilat Desert Marathon was run in the Israeli Red Sea city. On 30 November the Mount Fuji Marathon took place in Japan. In Europe the Firenze Marathon (more) was held in Northern Italy, the Serge Vigo La Rochelle Marathon (more) in France and the Marathon Donostia - San Sebastian (more) in Spain. Across the Atlantic in Mexico the Gran Maraton Pacifico (more) was run in Mazatlan. On 21 November the 13th Pharaonic 100km (more) was run from El Faioum to the Sakkara Pyramids just southwest of Cairo. On 22 November the Medio Maraton Turistico Riviera Nayarit was held in Mexico. On 23 November the Kobe Marathon (more) took place in Japan and the UNICEF Charity Half Marathon (more) in Hong Kong. The Airtel Delhi Half Marathon (more) hosted the leading half marathon performers of the year on the streets of the Indian capital. The Great Ethiopian Run (more) attracted 35000+ runners onto the streets of Addis Ababa, and on the other side of Africa the Semi Marathon de Laayoune was run in Morocco. The final edition of the Yokohama Women's Marathon (more) took place on 16 November in Japan, the Penang Bridge Int'l Marathon (more) was run in Malaysia and the Standard Chartered Bangkok Marathon (more) in Thailand. The 36th Vodafone Istanbul Marathon (more) started in Asia and finished over the Bosphorus in Europe. Elsewhere around the Mediterranean the Turin Marathon (more) was held in Italy and the Maraton Valencia Trinidad Alfonso (more) in Spain. Across the Atlantic the Marabana Marathon and Half Marathon (more) were run in the Cuban capital, the Rock 'n' Roll Las Vegas Marathon (more) along the famous Las Vegas 'Strip', and the Big Sur Half Marathon on Monterey Bay in the Californian west coast town. On 18 November the Antarctica Ice Marathon was held at 80degS, although the exact date and timing is always dependent upon weather conditions. The Yi Lan Chiang Wei Shui Memorial Freeway Marathon was run in Taipei on November 8. On November 9 the JoongAng Seoul I'ntl Marathon (more) was run in Korea, followed by the Athens Marathon The Authentic (more) in Greece, the BDL Beirut Marathon (more) in Lebanon, the Garda Trentino Half Marathon (more) and the Maratona Internazionale Ravenna Citta' D'arte (more) in Italy. The French Riviera Marathon Nice-Cannes (more) took place in France. The ASICS Maratón de San José in Costa Rica was suspended. The Volcano Marathon took place in Chile on November 11. 7 November: Dennis Kimetto and Florence Kiplagat as the male and female winners of the AIMS Best Marathon Runner Award for 2014, as voted for by the AIMS Members, made up of over 370 of the world’s leading and most prestigious distance races from over 100 countries and territories. Dennis Kimetto and Florence Kiplagat’s outstanding achievements were given global recognition tonight (Friday 7 November 2014) at the AIMS Best Marathon Runner’ (BMR) Award Gala in Athens, Greece. The BMR Gala was presented by the Patron of AIMS, OPAP S.A., the leading gaming operator in Greece. Dennis won the Bank of America Chicago Marathon in October 2013 (in 2:03:45) before setting a new world record time of 2:02:57 in winning the BMW Berlin Marathon in September 2014, breaking the previous record by 26 seconds. Winner Dennis Kimetto with his Award. Florence set a new World Record time for the women’s Half Marathon of 1:05:12 in the eDreams Mitja Marató de Barcelona (February 2014), improving on Mary Keitany’s previous record by 38 seconds. Florence would go on to finish 2nd in the Virgin Money London Marathon in a time of 2:20:24 in April 2014. Winner Florence Kiplagat with her Award. The BMW Frankfurt Marathon received the ‘AIMS Green Award’ for 2014 in recognition of the event’s excellent environmental practice including developing new projects each year in six ‘spheres of action’* where continuous improvement of environmental protection is targeted. Also shortlisted for the award were were the Volkswagen Prague Marathon in the Czech Republic and the Querétaro Maratón in Mexico. The ‘AIMS Social Award’ for 2014 was presented to the Tokyo Marathon for it’s outstanding work raising money for chosen charitable causes (over 2.42m US Dollars in 2014). The AIMS Lifetime Achievement Award was presented to George Hirsch in recognition of his significant role in the development of the Marathon Movement, particularly in the United States of America. George was worldwide publisher of Runner’s World magazine and, in collaboration with Race Director Fred Lebow, George helped start the five-borough New York City Marathon in 1976 to celebrate the nation’s bicentennial. He is currently the chairman of the board of the New York Road Runners, the organizers of the TCS New York City Marathon. The Erbil International Marathon was scheduled to take place in Iraqi Kurdistan on 01 November, but has been postponed. A possible date is 29 November, but the race may be next run in April 2015. On 2 November the ASB Auckland Marathon (more) was run in New Zealand, the Chosunilbo Chunchon Int'l Marathon in Korea, the Taroko Gorge Marathon in Chinese Taipei and the Hangzhou International Marathon and the Shanghai International Marathon (more) in China. The Porto Marathon EDP (more) was held in Portugal and in the USA the Bass Pro Shops Conservation Marathon (more) was run in Springfield, Missouri. 1 November: AIMS has decided that due to the current circumstances surrounding athlete Rita Jeptoo, that it is no longer appropriate that she be considered a candidate for this year’s AIMS Best Marathon Runner of the Year Award due to be announced next Friday the 7th of November 2014 in Athens, Greece. 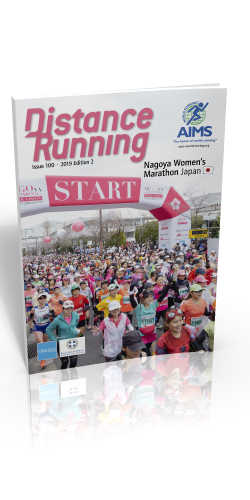 More From Japan: Following the last edition of the Yokohama Women's Marathon being held on 16 November, the next question to be raised is 'when will the mass race Osaka Marathon (held on 26 October this year) merge with Osaka Women's Marathon (to be held on 25 January 2015)?' The obstacle to this marriage is that sponsors of the two races are in competition. The Osaka Marathon is sponsored by the Yomiuri Newspaper group and its affiliated TV station, whereas the Osaka Women's Marathon is sponsored by the Sankei Newspaper Group and its affliated TV station. They somehow have to come up with a compromise, like sponsoring alternate years, the way Tokyo Marathon solved the same problem. 27 October: American Marathon Executive and Magazine Publisher George Hirsch will be presented with the AIMS Lifetime Achievement Award at the second annual AIMS Best Marathon Runner’ (BMR) Award Gala in the home of the Marathon in Athens, Greece on 7 November 2014. George’s lifetime of achievement and contribution to distance running will be recognised on behalf of the AIMS Members, representing more than 370 of the world’s leading and most prestigious races from over 100 countries and territories. The BMR Gala will be presented by the Patron of AIMS, OPAP S.A., the leading gaming operator in Greece. George will receive the AIMS Lifetime Achievement Award in recognition of his significant role in the development of the Marathon Movement, particularly in the United States of America. Born in New York City, George started his career in publishing, working with Time-Life International and as President and Publisher of New York Magazine. George’s first involvement with distance running was in 1976 when in collaboration with Race Director Fred Lebow, George helped start the five-borough New York City Marathon in 1976 to celebrate the nation’s bicentennial. In 1979 George founded the Midnight Run in New York’s Central Park, a race that is held on New Year’s Eve every year. George has also worked as a commentator for distance running events around the USA and Olympic Games Marathons in Los Angeles (1984), Seoul (1988) and Barcelona (1992). In addition to his work as a running executive, George launched The Runner magazine in 1978 which, after being acquired by Rodale Inc., would become Runner’s World, where he would hold the position of worldwide publisher. On a personal level, George has run forty marathons, with a personal best of 2:38 set in the Boston Marathon in 1979 and currently is the Chairman of the Board of the New York Road Runners Club, a position he has held for the past 10 years. On 24 October the Samsung Amman International Marathon (more) was held in the Jordanian Capital. On 26 October the Osaka Marathon (more) was run in Japan, the Standard Chartered Nairobi Marathon in Kenya and the Grand Marathon Int'l de Casablanca in Morocco. In Europe the Podgorica Marathon (more) took place in Montenegro, the Ljubljanski Marathon (more) in Slovenia, the Venice Marathon (more) in Italy, the Swiss City Marathon (more) (Lucerne) and the Lausanne Marathon (more) in Switzerland, the St Denis Half Marathon (more), in France and the BMW Frankfurt Marathon (more) in Germany. 24 October: The Japanese Association of Athletic Federations (JAAF) has issued a press release stating that final running of the Yokohama Women's Marathon will be on 16 November, but the organizer is searching for a new venue at which to continue staging the International Women's Marathon. The race was inaugurated in 1979 as the Tokyo International Women's Marathon, the first ever women-only annual marathon. Six years ago, after the first mass-field Tokyo International Marathon was held, it moved to Yokohama. After six editions there, the 37th edition of the International Women's Marathon, if there is one, will be in the new venue. The reasons for this situation are financial: namely a lack of sponsors coming forward because of the absence of major domestic marathon names (like the former Olympic Champions Naoko Takahashi and Mizuki Noguchi). On 19 October the Dong-A Ilbo Gyeongju International Marathon took place in Korea and the Beijing International Marathon (more) in China. In Europe the Lago Maggiore Marathon (more) was held in the north of Italy, the Rhythm & Run Half Marathon in Belgium, the TCS Amsterdam Marathon (more) in the Netherlands and the Medio Maraton Valencia Trinidad Alfonso (more) in Spain. In North America the Scotiabank Toronto Waterfront Marathon (more) was run in Canada and the Guadalajara International Marathon in Mexico. The Tokyo Marathon has been declared as the 2014 winner of the AIMS Social Award. The award, which highlights races working towards achieving the United Nations Millennium Development Goals*, will be presented to the successful Japanese race during the AIMS Best Marathon Runner Awards Gala, to be held in Athens, Greece on Friday 7 November. The eight Millennium Development Goals include eradicating extreme poverty and hunger, combatting disease, decreasing child mortality, promoting gender equality and the empowerment of women and ensuring environmental stability. Since 2011, under the slogan ‘The Day We Unite’, the Tokyo Marathon has been organising charity activities based on the Japanese concept of “TSUNAGU” (unite) in an effort to bring people together from runners, volunteers and spectators. Those individuals who donate ¥100,000 ($916) or more and wish to run the race can participate in the marathon as charity runners. Money raised is then donated to the 13 chosen recipient programs of the Tokyo Marathon Charity “TSUNAGU”. Charity runners are encouraged to ‘Run with Heart’ by asking their friends and family to get involved in fundraising. From the 2013 event, the Tokyo Marathon has been accepting corporate applications. In 2014, the TSUNAGU program raised over ¥265 million ($2.42m) for the chosen recipient charities, a record amount. This is an increase of about ¥40 million from the amount raised in 2013 of over ¥225 million ($2.06m). Paco Borao, President of AIMS comments: “I am very happy to see the excellent work done by the Tokyo Marathon recognised with the AIMS Social Award. The work they have done towards the United Nations Millennium Development Goals has been outstanding. I am very impressed with the ethos of unity in their TSUNAGU campaign as it fits so well with the ethos of our sport. Also, the amount of money they have been able to raise for charitable causes has been very impressive." Tadaaki Hayano, Race Director of the Toyko Marathon comments: “It is a great honour for the Tokyo Marathon to be recognised with the AIMS Social Award. We are very proud of our TSUNAGU program under the slogan ‘The Day We Unite’ as it recognises not only the 36,000 runners who take part in the Tokyo Marathon but the 10,000 volunteers and 1.6 million people who cheer the runners on. We are also delighted that we continue to break our record for money raised through the TSUNAGU program for our chosen charity recipients. We would like to thank AIMS and their sponsors for recognising us with this award." AIMS Athletes’ Nomination Committee has selected the following candidates for the AIMS Best Male/Female Marathon Runner 2014 Award. The primary criteria for selection have been their performances from 01 October 2013 till 30 September 2014. Candidates will be voted for by full members of AIMS. The voting period opened on 15 October and continues until 31 October. The winners will be declared and awarded during the AIMS Best Marathon Runner Gala in Athens, Greece on the night of Friday 7 November 2014. Major Sponsor of the Gala, OPAP S.A., is the leading gaming operator in Greece. *Important Notice: For the Male Best Marathon Runner Award 2014, the AIMS Athletes’ Nomination Committee has decided that for this year (01 Oct 2013 till 30 Sept 2014) Dennis Kimetto is the one and only candidate. During the above period there was no other candidate who came close to his credentials. There was no Olympic Games or World Championships held within this period. The two performances, mentioned above, of Dennis Kimetto made him such a standout candidate that the Nomination Committee merely seeks the endorsement of voting AIMS members to announce him as the male winner of the 2014 BMR Award. 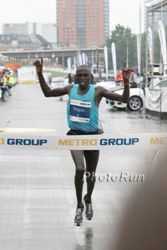 - Won the eDreams Mitja Marató de Barcelona (Barcelona Half Marathon, 16 Feb 2014) in a new World Record time of 01:05:12, improving Mary Keitany’s previous mark by 38 seconds. Announce and honour the best male and female Marathon runners of the year through the AIMS BEST MARATHON RUNNER (BMR) Award. Recognise and honour exceptional Marathon figureheads and personalities for their contribution to the development of the Marathon movement. Enhance the role, programs and services of AIMS. On 11 October the Spar Budapest International Marathon (more) was run in Hungary and the Okanagan Marathon (more) in Canada. The Medibank Melbourne Marathon (more) was held in Australia and, the Standard Chartered KL Marathon (more) in Malaysia. In Europe the Poznan Marathon (more) took place in Poland, the Spetses Mini Marathon (more) (25km) in Greece, the Novi Sad Marathon (more) in Serbia, the Zagreb Marathon and Half (more) in Croatia, the Maratona d'Italia (more) in Italy, the Munich Marathon (more) in Germany and the De Lage Landen Marathon Eindoven (more) in the Netherlands. Across the Atlantic the Buenos Aires Intenational Marathon (more) was run in Argentina and the Goodlife Fitness Victoria Marathon (more) in Canada. 10 October: Florence Kiplagat (KEN) recieved the AIMS World Record Award in recognition of her World Record breaking Half Marathon time of 1:05:12 set in the eDreams Mitja Marató de Barcelona on 16 February 2014. Her achievement was given global recognition during a presentation in advance of the Bank of America Chicago Marathon, taking place on Sunday 12 October, in which she competes. The presentation was made by Executive Race Director of the Bank of America Chicago Marathon Carey Pinkowski. Kiplagat's new World Record improved the time set by her compatriot Mary Keitany at the Ras Al Khaimah (RAK) Half Marathon in 2011 (1:05:50) by 38 seconds. Florence also set the World Record for the 20km distance during the race (1:01:56), a record which also previously belonged to Mary Keitany from her World Record half marathon performance in 2011 (1:02:36). In ding so she ran more than a minute faster than her previous personal best of 1:06:38, set at the Rome-Ostia race in 2012. Florence’s time of 1.05.12 has been officially recognised as the World Record by the IAAF (International Association of Athletics Federations) and by AIMS, which set the first world record criteria for performances on the road later adopted by the IAAF. AIMS have been awarding athletes in recognition of World Record breaking performances since 1985. This is the twentieth time that AIMS has awarded an athlete in recognition of a World Record breaking performance. You can see a full copy of the press release here. 08 October:The BMW Frankfurt Marathon is the 2014 winner of the AIMS Green Award. The award highlights best environmental practice in marathon events and will be presented during the AIMS Best Marathon Runner Awards Gala, to be held in Athens on Friday 7 November. The BMW Frankfurt Marathon was shortlisted for the inaugural award in 2013. The runner up for the award was the Volkswagen Prague Marathon in the Czech Republic and second runner up was the Querétaro Maratón in Mexico. Since 2005, the BMW Frankfurt Marathon has worked in partnership with “The Rhein-Main Environment Forum”. The objective of the Environment Forum is to promote lasting and environmentally suitable development as well as environmental protection. In partnership with this organisation, the BMW Frankfurt Marathon has developed new projects each year in six ‘spheres of action’, where continuous improvement of environmental protection is targeted: catering, transport, waste disposal, merchandising, energy/water and freedom of movement. In each of these fields the BMW Frankfurt Marathon works in conjunction with their sponsors to make the Marathon more environmentally friendly. In total, approximately €45,000 has been invested in environmental activities with an additional €17,000 accrued for every year of the event. The Frankfurt Messe, one of the world’s largest trade fair companies, is at the core of the BMW Frankfurt Marathon and their location in Frankfurt was chosen with environmental protection in mind due to the excellent infrastructure and connections to local public transport it offers. This makes the BMW Frankfurt the marathon with the shortest connecting paths since the start and finish areas, pasta party, showers, kit bag collection and start number allocation are only a few metres apart. In addition, the route of the BMW Frankfurt Marathon is planned with great consideration given to environmental protection. All participants in the relay marathon will be taken to and from their handover points by public transport. The handover points were selected to be in close vicinity to stations. Since 2011, the BMW Frankfurt Marathon have used emission free electric vehicles for all journeys on the course and for organizational duties. All car drivers are offered parking along with a shuttle service to the Messe site. The AIMS Green Award was set up in collaboration with George Kazantzopoulos, Member of the IOC Sport and Environment Commission and President of the Institute Team for the World Environmental Alliance 2004+, a non-governmental not-for-profit organisation which was the scientific partner of AIMS in the development of the AIMS Environmental Guidelines. A screening and research process by a jury panel made up of AIMS and independent judges lead to a shortlist of three candidates. From this shortlist the AIMS Board of Directors then made the final award selection decision. In Europe the Kosice Peace Marathon (more) celebrated its 90th year. This oldest Marathon in Europe was first held in 1924. Elsewhere the Bila Tserkva Marathon (more) was run in Ukraine, the Bucharest International Marathon and Half (more) in Romania, the Silesia Marathon (more) in Poland, the Sparkasse Three-Country Marathon (more) from Germany to Austria (via Switzerland), the Brussels Marathon (more) in Belgium, the Bournemouth Marathon Festival (more) and the Lloyds Bank Cardiff Half Marathon (more) in Great Britain and the EDP Rock 'n' Roll Lisbon Marathon (more) and Half Marathon Vodafone RTP in Portugal. In South America the Guayaquil Marathon (more) was held in Ecuador and the Gatorade Caracas Rock 10km (more) in Venezuela. Further north the Queretaro Marathon (more) was run in Mexico and the Portland Marathon (more) in the USA. On 28 September Dennis Kimetto broke away from Emmanuel Mutai in the 39th kilometre of the BMW Berlin Marathon (more) to set a new world record of 2:02:57. Mutai also ran 10 seconds inside the old record of 2:03:23 set by Wilson Kipsang in last year's Berlin Marathon. Tirfi Tsegaye overtook early leader Shalene Flanagan and held off a late rally from compatriot Feyse Tadese to win the women's race in 2:20:15. Elsewhere in Europe the 36th PZU Warsaw Marathon (more) was held in Poland, the Hans Christian Andersen Marathon (more) in Denmark and the Baxters Loch Ness Marathon (more) in Great Britain. The RAHAL 10km de Marrakesh was run in Morocco. The Carrera de La Mujer women's 10km race (more) took place in Bogota, and attracted some top international names. On 21 September the Blackmores Sydney Running Festival included the Sydney Marathon (more) in Australia. The Siberian International Marathon (more) and the Moscow Marathon (more) were held in Russia, the Maratonina Citta de Udine Half Marathon (more) in Italy, the Dam tot Damloop (more) (10 miles race) in Netherlands, the Charleville International Half Marathon(more) in Ireland. The Cape Town Marathon (more) was run in South Africa, the 1/2 Maraton RPP in Peru, and the Maui Marathon (more) in the Hawaiian Islands (USA). On 13 October The DN Stockholm Half Marathon (more) was run in Sweden and the Jungfrau Marathon (more) in the Swiss Alps. On 14 October the BII Maybank Bali Marathon (more) took place in Indonesia while the road running season got into swing in Europe with no fewer than 10 events: the SEB Tallinn Marathon (more) in Estonia, the Danske Bank Vilnius Marathon (more) in Lithuania, the Wroclaw Marathon (more) in Poland, the Wizzair Budapest Half Marathon in Hungary, the Wachau Marathon (more) in Austria, Mattoni Usti nad Labem Half Marathon (more) in the Czech Republic, the Volksbank Munster Marathon (more) and Rhein Energie Marathon (more) in Germany, the Powerade Kobenhavn Half Marathon (more) in Denmark and the Meia Maratona de Porto Sport Zone (more) in Portugal. Across the Atlantic the Maraton de las Flores Medellin (more) was run in Colombia and the Lake Tahoe Triple Marathon & Trifecta Half Marathons in the USA. On 6 September the Knarvikmila Great Fjord Run (more) took place just outside Bergen in Norway and the Birell Prague Grand Prix 10km (more), in which Geoffrey Tonoh and Coretti Jepkoech both posted the second fastest times of the year, on the streets of the Czech capital. On 7 September the Pila Half Marathon (more) and the Running Festival of the Economic Forum (more) were run in Poland, the Medio Maraton Atlas Colomos (more) in Mexico. The 10km San José Int'l Costa Rica was cancelled. The 10km San Jose Costa Rica event has been cancelled for 2014. The National Stadium authorities accepted a "Rodeo" event on the same day at the National Stadium and this was given priority over the running event..
We were unable to change the route to avoid the National Stadium. The course had been AIMS-IAAF certified and to avoid compromising our runners, and ourselves as organisers, we decided that we should not hold the race this year. We sincerely regret the inconvenience caused and are willing to consider refunding losses suffered by our disappointed entrants. The Marathon de la Ciudad de Mexico (more) celebrated its 32nd edition on the streets of the Mexican capital. On 23 August the Hvar Half Marathon (more) was run on the Croatian island in the Adriartic Sea, and the Reykjavik Marathon (more) took place in the Icelandic capital. On 24 August the Adelaide Running Festival Marathon (more) was held in Australia, the Longford Marathon (more) in Ireland and the SSQ Quebec Marathon (more) and Canadian Derby Edmonton Marathon (more) both in Canada. On 16 August the Helsinki City Marathon (more) took place in Finland. On 10 August the Maraton Internacional de Asuncion (more)was run in the Paraguayan capital. On 3 August the Brisbane Marathon Festival (more) and the McDonald's Townsville Running Festival Marathon (more) were both held in Queensland, Australia. On 26 July the Australian Outback Marathon (more) was held at Uluru (Ayers Rock) and the Swissalpine Marathon (more) (including the 78km ultra) in e Alpine ski resort of Davos. On 20 July the Marathon de l'Ile Maurice (more) was held on the Indian Ocean island state of Mauritius. On 13 July the Yangminshan Half Marathon was run in Chinese Taipei and the Correcaminos Half Marathon (more) in San Jose, Costa Rica. On 5 July the Zermatt Marathon (more) was held in Switzerland, finishing on top of the Riffelberg at a height of 2585mm. On 6 July the Gold Coast Airport Marathon (more) took place in Australia. On 9 July the North West Passage Marathon at Arctic Watch Wilderness Lodge was run in the autonomous enclave of Nunavut, in northern Canada. On 28 June the Rovaniemi Marathon (more) and the Paavo Nurmi Marathon (more) took place in Finland and the Vidovdan 10km (more) was run through the streets of Brcko in Bosnia-Hercegovina. 29 June started with the Lake Saroma 100km (more) on Hokkaido, the north island of Japan and is followed by the Econet Victoria Falls Marathon (more) in Zimbabwe. St Petersburg in Russia stages the 25th anniversary edition of the ERGO White Nights Marathon (more). In Mexico the Tangamanga Marathon (more) celebrated its 30th edition in the streets of San Luis Potosi. On 21 June the Midnight Sun Marathon (more) took place in the North of Norway, with most runners finishing after midnight, but in broad daylight. The Mattoni Olomouc Half Marathon (more) was run in the Czech Republic and the Lisbon Eco Marathon (more) in Portugal. On 23 June the Suzuki Midnight Run (more) took place in the Icelandic capital, Reykjavik. On 14 June the Forest Marathon and Ultra races (more) took place in Portumna Forest, in the west of Ireland. On 15 June the Telesia City Trophy International 10km Road Race (more) was held in Italy, followed by the RAHAL 10km International 10km Road Race of Casablanca (more) in Morocco. The Medio Maraton del Dia Del Padre (more) was run in the Bosque de Tlalpan, just to the south of Mexico City. On 6 June the Dhiraagu Maldives 10km Road Race (more) was held in the Indian Ocean island state, where the maximum elevation is 2m above sea level. On 8 June The Laguna Phuket International Marathon (more) took place in Thailand, the Quito Ultimas Noticias 15km (more) in the capital of Ecuador and the Gatorade Panama International Half Marathon (more) in the Central America state. 21,000 runners participatedd in the ASICS Stockholm Marathon (more) in Sweden on 31 May. On 1 June, the day after the 20th World Congress of AIMS concluded in Durban, South Africa, the Comrades Marathon (more) finished in the city, following a 05.00 start in Pietermaritzburg. On the same day the Lanzhou International Marathon (more) was run in China, the Turin Marathon (more) in Italy, the Scotiabank Calgary Marathon and Half Marathon (more) in Canada. On Monday 2 June, a public holiday in Ireland, the Cork City Marathon (more) took place. The World Congress was held in conjunction with South Africa’s famous Comrades Marathon that starts in Pietermaritzburg and finishes some 89km later in the City of Durban. The race’s history goes back to a soldier named Vic Clapham in 1921 who, after World War I urged that the race be staged to celebrate the spirit of fallen comrades in all such human conflicts. Second Row: unknown (in red shirt), Bruno Boukobza (St-Germain 10km), Dave Cundy (AIMS Vice-President), Uri Menachem (Jerusalem), Marty Wanless (Allsport Marketing), Bruno Lafranchi (Zurich), Pannios Dimakos (Athens), Yutaka Sasai (Asics), Teruyoshi Yukimura (Lake Saroma), Sean Wallace-Jones (IAAF Road Running Manager), unknown, Dawei Wang (Chinese Federation), Fernando Jamarne (Santiago), unknown (with deep red tie), Giovanna Rousseau (Seychelles), 3 unknown, all Seychelles, Horst Milde (AIMS Marathoneum, Berlin). 4th Row: Andrea Eby (Vancouver), Markus Herrman (RunCzech), unknown, Mitsugi Ogata (Fukuoka), Pablo Gonzales (Quito Ultimas Noticias), unknown, Carlo Capalbo (RunCzech), Pieter de Jager (ASA), Johan Van Staden (Mandela Day Marathon) => behind: Vivek Singh (Mumbai,) John Hall (Maritzburg), Eileen Hall (Maritzburg), 2 unknown from Maritzburg, Luis Posso (Possosports, at back), Elana Meyer (Cape Town), Renna Jarvalt (Tallinn), Sabine Milde (AIMS Marathoneum, Berlin), Dejan Nikolic (Belgrade), unknown (Seychelles). Athletic performance: ‘it’s the brain that is the critical organ’. World renowned sports scientist Professor Tim Noakes told the Congress about his lifetime of research into athletic performance. He highlighted that the history of the majority of the world’s top sprinters originate from West Africa and this is consistent with sprinters now representing the Americas having mainly West African ancestry. While the greatest success in distance races, in events like the marathon, comes from East Africa. Professor Noakes showed the Congress considerable research into what allows East African runners to dominate the marathon and distance running throughout the world. He argued that many factors combine to give the runners, who originate from the East African Rift Valley, claimed to be the site of the origins of man, a physical, environmental and psychological advantage. While there do appear to be genetic variables compared to a sample of white native European athletes, they do not explain all the factors. In general European athletes tend to be taller with greater muscle weight. The East Africans were generally smaller and lighter but with considerable muscle strength and power. Prof. Noakes explained that the less time a runner’s foot is in contact with the ground (and the more it is in the air) the faster the runner will move. To propel the athlete into the air for longer, having less time in contact with the ground, requires great muscle strength. The phenomenal Ethiopian runner Haile Gebrselassie was highlighted as an example. Prof. Noakes said although appearing slight in frame, Gebrselassie’s muscle strength would compare to that of a weightlifter of substantially more body mass. There was a clear correlation between successful African distance runners and those who from an early age ran to school and back each day.1992 New York Marathon winner Willie Mtolo, who also spoke at the Conference, told of how he ran 32km every day of his childhood to school and back. Living and running at altitude also provides a great advantage when coming down to compete at sea level. The desire for economic success was also shown to be a major motivating factor for many African runners. Prof. Noakes also talked about ‘stereotype threat’. Many runners are believed to be intimidated before the race even starts by the perceived prowess of African distance runners, the legend and history of excellence being so strong that this gives them a competitive advantage over other runners: Brazilian Footballer, French Chef, African Marathon Runner. Overall Prof. Noakes said that physiology can only explain so much. The ultimate factor is how the brain influences the body, both in how it informs and manages our physical body responses but also our mental desire and motivation. He quoted the great Sir Roger Bannister, who broke the 4-minute mile on the 6 May 1954, when asked what is the critical factor of athletic performance, replied: ‘it’s the brain that is the critical organ’. The race directors from around the world also heard from Blanche Moila, the first black woman to be given South Africa sporting colours, who was cheered on by the prisoners of Robben Island in the 1980s. Moila was and is an inspiration to all, but in particular to women and the black community especially at a time when South Africa was struggling for equality and democracy. Moila highlighted the need for strong female role models and greater support for women to see greater success in African and world athletics. Olympic Silver medallist Elana Meyer talked of her frustrations at waiting for years during South Africa’s period of isolation from international sport during the apartheid era and her relief to finally get the chance to compete, and win a medal, at the 1992 Olympics. The conference also heard from one of the world’s top athletes’ agents Luis Posso, of the need for race organisers and the media to promote the often inspirational stories behind the challenges that many African athletes have overcome. Such stories build a greater appreciation and awareness of their athletic and life success, as an inspiration to others. This year’s London Marathon debut Olympic hero Mo Farah was mentioned, with it being noted his fame is such that he has over 1m followers on twitter. ‘Every morning when a gazelle wakes up in Africa, it knows that it must run faster than the fastest lion or it will be killed. Every morning in Africa a lion wakes up. It knows it must outrun the slowest gazelle or it will starve to death. 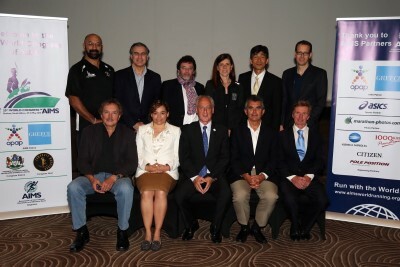 Back row Left to Right: Gary Boshoff, Fernando Jamarne, Bruno Boukobza, Andrea Eby, Mitsugi Ogata, Mark Milde. On 24 May three races were run in Europe: the Terwamarathon (more) in Finland, the Mattoni Karlovy Vary Half Marathon (more) in the Czech Republic and the Moonlight Half Marathon (more) on the Adriatic Coast of Northern Italy. 25 May started with the Jacob's Creek Barossa Marathon (more) in Australia, followed by two races in Europe: the Austrian Women's Run 5km (more) in Vienna (AUT) and the Edinburgh Marathon (more). On 17 May the Great Wall Marathon (more) was run in China, the Three Hearts Marathon (more) in Slovenia and the Goteborgsvarvet Half Marathon (more) in Sweden. On 18 May the Gifu Seiryu Half Marathon (more) took place in Japan and the TCS World 10km Bangalore (more) in India. The Kigali Peace Marathon (more) was held in Rwanda. In Europe the programme consisted of the Bucharest International Marathon (more) in Romania, the Nordea Riga Marathon (more) in Latvia, the Cracovia Marathon (more) in Poland, the Nykredit Copenhagen Marathon (more) in Denmark, the Leiden Marathon (more) in Netherlands and the Paris Saint German en Laye 10km (more) in France. The Maraton Movistar Lima 42km (more) was run in the Peruvian capital. On 10 May the Dalian International Marathon took place in China. On 11 May the Tripoli International Half Marathon (more) was run in Lebanon. The Wizzair Skopje Marathon (more) took place in FYR Macedonia and the Volkswagen Prague International Marathon (more) in the Czech Republic. The Media Maraton Int'l Ciudad de Asuncion (more) was held in the Paraguatan capital. On Friday 2 May the Semi Marathon Int’l de la Ville de Bejaia took place in Algeria. On 3 May the Rotorua Marathon (more) in New Zealand celebrated its 50th edition. On 4 May the Borneo Int’l Marathon (more) was run in East Malaysia. In Europe five marathons took place, starting with the Volgograd Marathon in Russia, and followed by the Maratona d’Europa (more) in Trieste (ITA), the Salzburg Marathon (more) in Austria, the Geneva Marathon for UNICEF (more) in Switzerland and the Haspa Marathon Hamburg (more) in Germany. The BIG Berlin 25km (more) was also held in the German capital. Two more marathons were run in Canada: The Goodlife Fitness Toronto Marathon (more) and the BMO Vancouver Marathon (more). On 5 May – a one-day holiday in Great Britain – the Milton Keynes Marathon (more) was run 80km north of London and the Deep RiverRock Belfast City Marathon (more) in Northern Ireland. On 26 April the Fjordkraft Bergen City Marathon (more) was run in Norway. On 27 April eight AIMS Marathons took place in Europe: The Belgrade Marathon (more) in Serbia, the Maratona Sant Antonio (more) in Italy, the TUI Marathon Hannover (more), the iWelt Marathon Wuerzburg and the Metro Group Marathon Dusseldorf (more) in Germany, the Enschede Marathon (more) in the Netherlands, the DVV Antwerp Marathon (more) in Belgium and the Rock 'n' Roll Madrid Marathon (more) in Spain. There were also two Half Marathons; Istanbul Half Marathon (more) and Semi Marathon Int'l de Nice (more). Also on 27 April runners depart arrived at the location of the 100km del Sahara in Tunisia, but the race only begins on 29 April, with runners completing four stages in three days. On 19 April the Dushanbe International Half Marathon was run in the capital of Tadkjikstan, the Pardubice Wine Half Marathon (more) in the Czech Republic and the Old Mutual Two Oceans 56km Marathon (more) in South Africa. On 20 April the Nagano Olympic Commemorative Marathon (more) was held in Japan, and the Almaty Marathon (more) in Kazakhstan. In the 118th BAA Boston Marathon (more) on 21 April Rita Jeptoo won in a new course record of 2:18:57. Since April 2012 she is the only woman to have run under 2:20 (twice). Meb Keflezighi won the men's race in 2:08:36, the first time a US citizen has won since Greg Meyer recorded a 2:09:00 victory in 1983. On 12 April the MTS Kharkiv International Marathon (more) was held in Ukraine. On 13 April the Guam International Marathon (more) was run in the Pacific island state. Several AIMS races were held in Europe: the Lodz Marathon (more) in Poland, the Telekom Vivicitta Budapest Spring Half Marathon (more) in Hungary, the Vienna City Marathon (more) in Austria and the ABN-AMRO Maraton Rotterdam (more) in the Netherlands. Across the Atlantic, the Sao Paulo Half Marathon Corpore (more) took place in Brazil. On 4 April the Dead Sea Ultramarathon 50km (more) was run from the Jordanian capital, Amman to the shores of the Dead Sea. The Sportisimo Prague Half Marathon (more) took place on 5 April, with Joyce Chepkirui setting a new course record and running the fifth fastest time ever recorded on a record-eligible course..
On 6 April there was an Ethiopian double in the Daegu International Marathon (more) in Korea, won by Yemane Tsegaye Adane and Mulu Seboka. In Europe, the International Marathon Alexander the Great (more) was followed by the CSOB Bratislava Marathon (more), the Poznan Half Marathon (more), the Zurich Marathon (more), the Milano City Marathon (more), the ASICS Medio Maraton Villa de Madrid (more), and the Schneider Electric Paris Marathon (more). Ethiopia's multiple world champion and world record holder Kenenisa Bekele made his long-awaited debut in Paris, and ran a speedy 2:05:03, a new course record. The Maratón de Santiago (more) took place in Chile, with wins for Ethiopia's Beraki Beyene and Kenya's Emily Chepkorir in 2:11:50 and 2:35:16. On 29 March the IAAF/AL Bank World Half Marathon Championships (more) took place in Copenhagen (DEN), with titles going to Gladys Cherono (1:07:29) and Geoffrey Kipsang (59:08). The Kenyan women took the team title convincingly, with the first five over the line, but Eritreans turned the tables on the Kenyans, with five of the top eight finishers, to win the men's team event. Behind the elite fields 30,000 runners streamed through the streets of Copenhagen on a crisp sunny day perfect for running. There were many more half marathons held the next day, 30 March: the Incheon Int'l Half Marathon in Korea, the Novi Sad Half Marathon (more) in Serbia, the Vattenfall Berlin Half Marathon (more) in Germany, where the first two home - Leonard Komen and Abraham Cherono - both ran 59:14, but the Semi Marathon Int'l de Rabat (more) due to be held in Morocco was cancelled. There were also two marathons on the day: The 261 Women's Marathon (more) in Palma de Mallorca (ESP) and the Diacore Gaborone Marathon (more) in Botswana. The 7th Lake Balaton Supermarathon (more) began on March 20, comprising a four-day, 195.4km-long journey around the largest lake in Hungary. On 21 March the Tel Aviv Marathon (more) was run in Israel. On 23 March the Maratona di Roma (more) ran past all the greatest monuments in the Italian capital, and the world's most southerly certified marathon, the Stanley Marathon (more), was held in the Falkland Islands. On 15 March the Rock n Roll USA Marathon & 1/2 (more) took place in Washington DC and the First Libyan International Race was run in Tripoli. On 16 March action began with the Seoul International Marathon (more) in Korea. In Europe the Limassol International Marathon G.S.O. (more) took place along the south coast of Cyprus, the Zurich Marato De Barcelona (more) in Spain and the EDP Lisbon Half Marathon RTP (more) in Portugal. On 9 March AIMS events were held on five continents. The Nagoya Women's Marathon (more) was held in Japan and the Sihanoukville International Half Marathon (more) in Cambodia. In Europe the Lago Maggiore Half Marathon (more) took place in Europe, while the ASTA 10km International Taroudant (more) was run in Africa (Morocco) and in the Americas the Las Terrenas 10km was held place in the Dominican Republic. The Last Continent, Antarctica, played host to the Antarctica Marathon and Half Marathon (more), on King George Island. The Tel-Aviv Samsung Marathon (more) was run in Israel on 28 February. The Kilimanjaro Marathon (more) was run in Tanzania, the Oeger Antalya International Marathon (more) in Turkey, the Treviso Marathon (more) in Italy, the Semi Marathon de Paris (more) in France and the Maraton Internacional Lala (more) in Mexico. On 23 February the Tokyo Marathon (more) was run in Japan and the Taipei Standard Chartered Charity Marathon (more) in Chinese Taipei. The Seychelles Eco-Marathon (more) was held in the Indian Ocean state and the Maritzburg Marathon (more) in Pietermaritzburg, South Africa, while the only European AIMS event was the Maraton de Sevilla (more) in Spain. Over in the Americas the World's Best 10km (more) took place in San Juan Puerto Rico, the Medio Maraton Guadalajara (more) in Mexico's second city. The Sahara Marathon (more) was run between the Sahrawi refugee camps near Tindouf, Algeria on 24 February. The CAF-Caracas Maraton in the Venezuelan capital has been postponed. Florence Kiplagat Flies In Barcelona. [Kiplagat] finished fourth overall, beaten only by three male runners. She passed 10km in 31:08, more than a minute faster than her official personal best but 23 seconds off Keitany's pace three years ago. Kiplagat then pushed hard over the next 5km to pass 15km in 46:35, five seconds faster than Keitany and just seven seconds outside Tirunesh Dibaba's world record for the distance, which was set in a 15km race. At 16km, Kiplagat's first pacemaker Marc Roig dropped out, and a couple of kilometres later her other aide Stanley Siroro stepped aside but Kiplagat continued to fly. She passed 20km in 1:01:56, also faster than [Keitany's] previous mark. Kiplagat's [time] was more than a minute faster than she had ever run before over the distance, her previous best of 1:06:38 coming in the 2012 Rome-Ostia race. On 16 February In Japan the Kyoto Marathon (more) was run and the Ohme-Hochi 30km Road Race was cancelled due to snow. The Kaosihung Marathon was run in Chinese Taipei and the Standard Chartered Hong Kong Marathon (more) in Hong Kong. The Cape Peninsula Marathon (more) was held in South Africa and the Giulietta and Romeo Half Marathon (more) in the Italian city of Verona. After the Osaka Women's Marathon last Sunday Japan's spring road racing season continued on 2 February with the Kagawa Marugame Half Marathon (more) and the Beppu-Oita Mainichi Marathon (more). Japan continued to monopolise AIMS running action with the Kitakyushu Marathon (more) on 9 February. 13 February: Wilson Kipsang received the AIMS World Record Award in recognition of his World Record breaking run in the BMW Berlin Marathon on 29 September 2013. Wilson’s achievement was given global recognition during a presentation in Ras Al Khaimah (RAK) in the United Arab Emirates. Wilson was presented with his award on the eve of the RAK Half Marathon, where he is a guest of honour. The presentation was made by Race Director of the RAK Half Marathon and AIMS Continental PR Manager for Asia Nathan Clayton. Kipsang (31) improved the men's world Marathon record by 15 seconds when he recorded 2:03:23 in Berlin. The previous record had been set by Patrick Makau in the same event two years earlier. Wilson’s victory was the seventh marathon win of his career. AIMS have been awarding athletes in recognition of World Record breaking performances since 1985. This is the second time that Wilson has received an award from AIMS. His World Record performance was enough to top the poll for the AIMS Best Marathon Runner Award in November 2013 at the AIMS Gala Dinner sponsored by OPAP in Athens, Greece. AIMS President Paco Borao commented: “We are delighted to present Wilson with this award on behalf of the 350 AIMS members in 103 countries and territories throughout the World. 04 February: Race organisers worldwide are being called upon to complete a questionnaire geared towards developing best practice advice for medical teams providing care at endurance events. Researchers at Loughborough University’s School of Sport, Exercise and Health Sciences (SSEHS) are working with the International Institute for Race Medicine (IIRM) and the Matthew Good Foundation to set up a resource for race directors, medical directors, emergency medical providers and participants that aims to provide educational resources and advice on best medical practice at long distance races. Findings will be used to gain a picture of current medical programs, to identify best practice and to develop guidelines for races of varying sizes. They will also be used to assess runners’ knowledge on drinking behaviour during races and help provide practical advice for runners and race organizers. Loughborough Research Associate Steve Mears said: “We want to identify the optimum level of medical support needed at events so that each race can deliver the best possible care based on resources and runner numbers. Our initial focus is on sudden cardiac arrest, exertional heat illness and water intoxication (hyponatremia) as these can occur in endurance races. We hope to provide an educational resource to help to understand the best practices for medical logistics and provide guidelines for the most effective treatment." Chris Troyanos, IIRM Executive Director and Boston Marathon Medical Coordinator added: “The running industry has witnessed tremendous growth over the past 10 years. 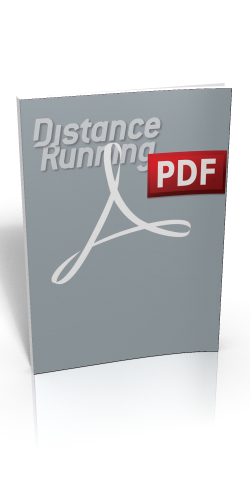 Advances in runner tracking, data entry, and timing have allowed for larger field sizes. The safety of event participants and the general public should be the first priority. As a group of medical professionals, we must keep up with the demand for appropriate medical care and the education that comes with that care. This first of a kind study will show us what is currently being offered and will also pave the way when providing scalable medical coverage at all events”. On 26 January the Osaka Women's Marathon (more) was run in Japan, the Khon Kaen International Marathon (more) in the north of Thailand, the Marrakech Marathon (more) in Morocco and the Maraton Int'l de Culiacan in Mexico. On 17 January the Egyptian Marathon (more) was run in Luxor, passing by the entrance to the Valley of the Kings. On 19 January the Gammon China Coast Marathon (more) was held in the New Territories of Hong Kong, and the Standard Chartered Mumbai Marathon (more) in India's biggest and busiest city. The Santa Pola Half Marathon (more), in south-east Spain, was the only event to be held in Europe before AIMS action jumped first to the American side of the Atlantic for the Marathon Bahamas, Half Marathon and Relay (more), and then to the Pacific Ocean for the Maui Oceanfront Marathon and Half (more). The Cebu Marathon (more), in the Philippines and the Kinmen Marathon (more) in Chinese Taipei, were both held on 12 January. On 7 January Siberians celebrated the season by braving -20C temperatures in the Siberian Ice Half Marathon (more). On 31 December the 58th edition of the Sao Silvestre de Luanda 10km (more) race held in the Angolan capital, won by Stanley Biwott in 28:31 and Priscah Jeptoo in 32:10. The Neujahrsmarathon Zurich (more) starting at 00.00 on 01 January 2014, provided the initial leading times of the year: Philipp Arnold's 2:43:49 and Astrid Muller-Amstad's 3:10:46. On 02 January 2014, in the 12th edition of the Xiamen International Marathon (more), Mare Dibaba sliced 68 seconds from the women's course record, but it was the first time in six years that the men's record was not improved.